In the face of this season’s hurricanes, we must confront the reality that extreme weather will become increasingly common. What can communities in Miami do to prepare for a more erratic climate? What can be done to tackle the issue of climate change at the local level? Is the Paris Climate Agreement more important than ever? What role can IVY play? 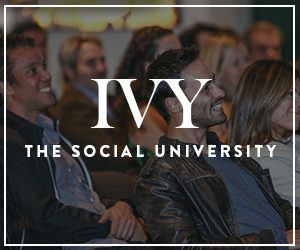 To learn more about this issue, IVY hosted an Ideas Night on Climate Change in Miami: How to Prepare for the Worst. We were joined by Broward County’s Assistant Director of Environmental Planning and Community Resilience, Samantha Danchuk, and U-Miami Professor, Ben Kirtman. In this eye-opening evening, Samantha and Ben will drew upon their combined experience and insights to answer our questions and help us grapple with these issues as we imagine innovative solutions that catalyze urgent, broad-based action.